Now customers can keep your brand on hand! The coolers are constructed out of soft, high-grade neoprene or lightweight scuba foam, both providing style and comfort. An excellent product to have at sports events, corporate picnics, and in gift shops. 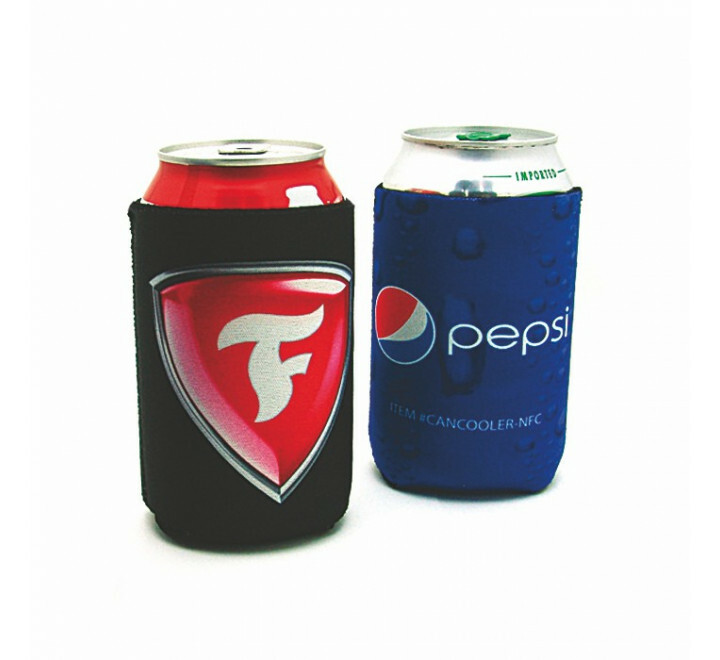 Designed to fit most beer and soda cans and available in a variety of colors. 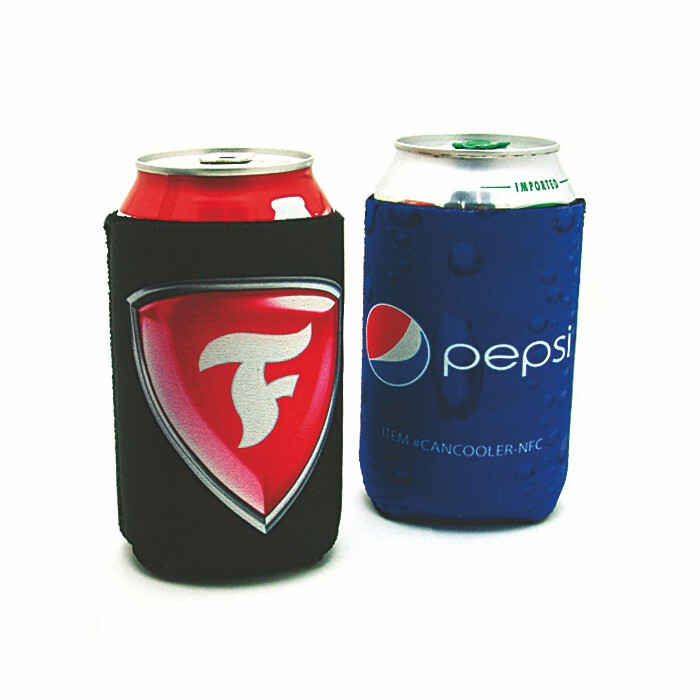 Our neoprene coolers have excellent insulating properties to keep beverages refreshing in the hottest temperatures. All styles collapse, easily fitting into a pocket or purse to ensure your promotion will travel wherever people appreciate cool beverages.